I've been taking photos of skulls made by Vicious Noodles. 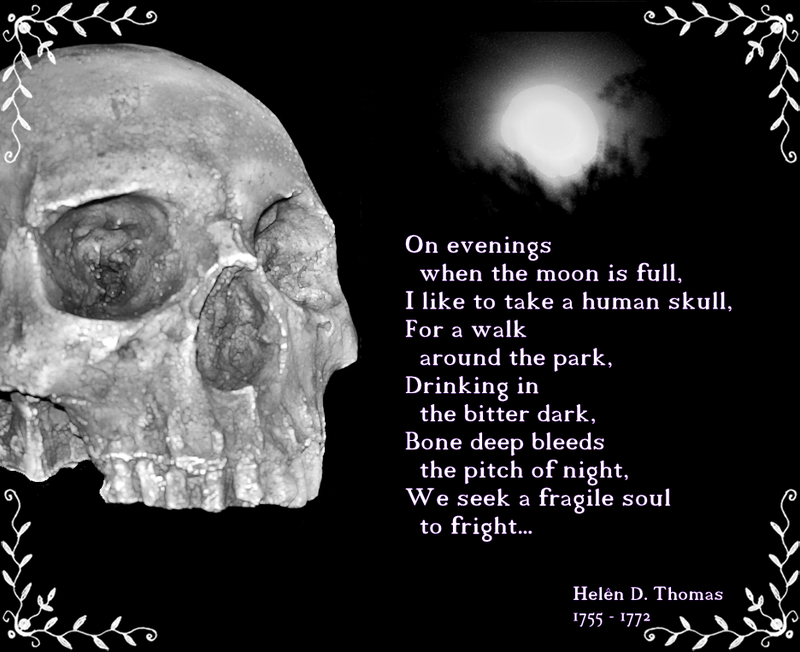 This one inspired a little poem that I added to a skull photo taken on the eve of the full moon. I'll stick to my usual grimace.